Feeling stressed out? It may take a toll on your health in all kinds of ways. Stress has been linked to a range of physical and mental health problems including high blood pressure, heart disease, a suppressed immune system, and sleep trouble. And now there’s new evidence that people who experience chronic, long-term stress may also be more prone to weight gain and obesity. The research, published in the journal Obesity, is consistent with prior studies that have found a similar link. 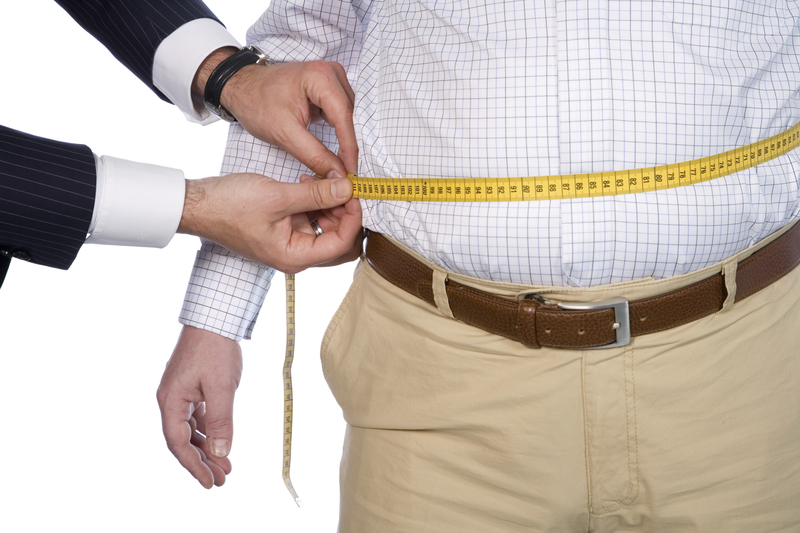 Chronic stress has long been thought to be a culprit when it comes to obesity. People tend to report overeating and consuming “comfort foods” high in fat, sugar, and calories when they are feeling stressed. Hormones linked to stress also play an important role in metabolism and determining where fat is stored. Researchers from University College London followed more than 2,500 men and women aged 54 and older over a period of four years. For the study, the scientists took a sample of hair from each participant to measure their levels of cortisol, a hormone which regulates the body’s response to stress. Each 2-centimeter lock of hair, representing approximately two months’ worth of hair growth, was tested for the accumulated levels of cortisol experienced during that time. Previous studies looking at the relationship between cortisol and obesity relied mainly on measurements of the hormone in blood, saliva or urine. These levels can vary depending on time of day and other factors, making them an unreliable source of long-term cortisol levels. The researchers of the current study also collected data on participants’ weight, body mass index (BMI), and waist circumference. An analysis showed that people who had higher levels of cortisol present in their hair sample tended to have a larger waist circumference, were heavier, and had a higher BMI, indicating more body fat as opposed to muscle. Those classified as obese by either their BMI or waist circumference had particularly high levels of cortisol in their hair, the researchers report. The study has several limitations, including that it was done in an older population and almost all of the participants were white. Cortisol levels may potentially differ in younger adults and those of different races. However, Fried, who was not involved in the study, emphasizes that the findings do not prove cortisol causes obesity. For example, it’s possible that the social stigma associated with obesity causes people mental stress and therefore, higher cortisol levels.